Periodontal diseases, specifically periodontitis, are caused by pathogenic bacterial species located in the subgingival niche. These bacterial species adhere to the tooth surfaces and are organized in a complex structure, the dental plaque, which has been considered recently as an example of a biofilm (Marsh 2005). The presence of these pathogenic bacteria within complex bacterial communities may have important implications in the use of antimicrobial therapies aimed to fight against them. In fact, at the 5th European Workshop of Periodontology, it was concluded that ‘‘dental plaque displays properties that are typical of biofilms and microbial communities in general, a clinical consequence of which is a reduced susceptibility to antimicrobial agents as well as pathogenic synergism’’ (Marsh 2005). 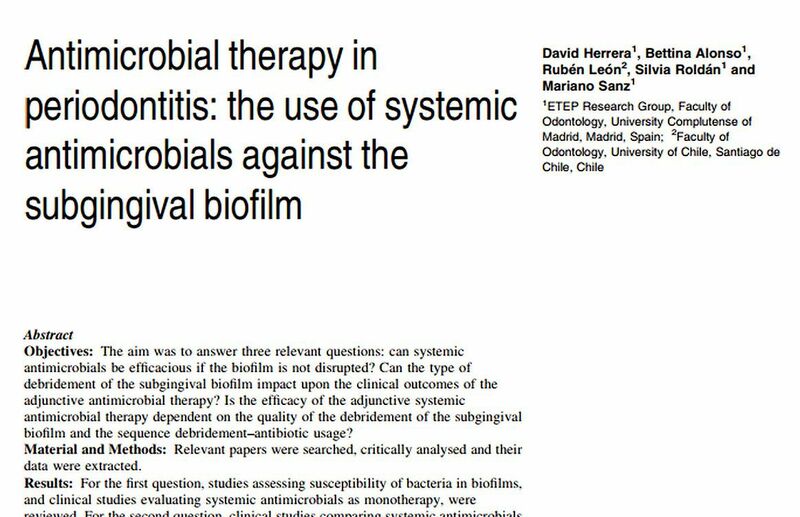 The use of systemic antimicrobials as part of the therapy in the management of periodontal diseases has been debated for decades. 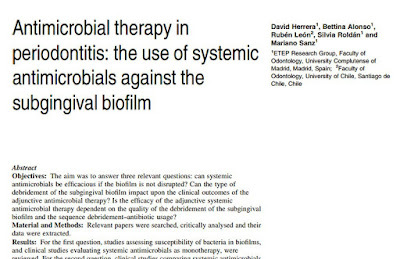 The adjunctive benefits of using systemic antimicrobials in the treatment of periodontitis have been reported in two systematic reviews presented at European (Herrera et al. 2002) and World (Haffajee et al. 2003) Workshops.